Alexander W. Wehr, president and CEO of BMW Group Mexico, Latin America and the Caribbean, has reiterated the opening of its new plant in San Luis Potosí in 2019. 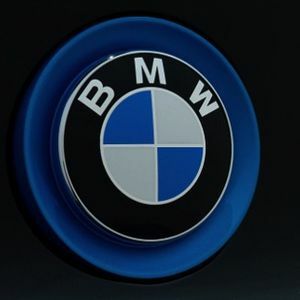 Mexico is one of the most important markets in the world for the German automotive group BMW, so the company endorsed its commitment to continue its investments in the country and reiterated the opening of its new plant in San Luis Potosí in 2019. He said that if the Mexican peso depreciates further and if tariffs on international trade rise, there could be some adjustments in the management of the business from Mexico but assured, “we are not worried and we are optimistic”. Although he acknowledged that greater appreciation of the dollar does not support the sale of vehicles, the price adjustments are not significant, as these are up to 30 percentage points lower than depreciation. “So, in reality, for us it does not have any disadvantages and the strategy is not to pass more cost to the final consumer and keep the dealer network profitable,” he insisted. He acknowledged that investments in the distribution network in Mexico have been very important during the last 18 months, with around 100 million dollars in favour of servicing clients, a reason why one of the tasks is to maintain the responsibility of the agencies. He remarked that one of the main achievements that was consolidated this year was the laying of the foundation stone for the plant in San Luis Potosí, where the Series 3 model will be manufactured. It will be one of BMW’s largest plants outside Germany, as the expansion of the group’s production network has always pursued the goal of supporting the growth of global markets, he added. The investment of one billion dollars in an initial phase will allow the manufacture of about 150 thousand units of the sedan, vehicle that is a symbol and banner of the brand.